Lunt CaK diagonal modded to straight through - SolarChat! But until now I was not able to modify it into a straight through variant. That way it would be easier to test the triple stack, so two PST #1 filters and the Lunt B600. 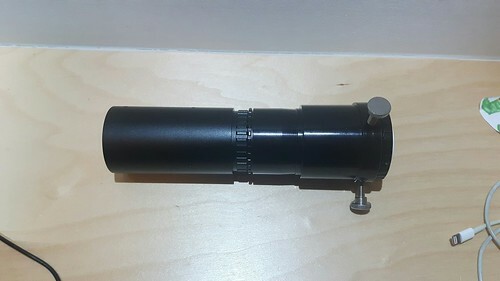 - the original 2 inch Lunt nosepiece including the filters. One other advantage is that the nose piece is higher in the light cone, so less stress for the 2 filters in there. Quite curious to compare these filters with the filters I use as an Erf in the PST CaK mod: Baader Blue and K-line. Very interesting to see how you get along with it Bart. I'm looking at a total redesign of my CaK module, but hitting a roadblock with filter mounting implementation with some ability to tilt multiple individual filters fairly close together. 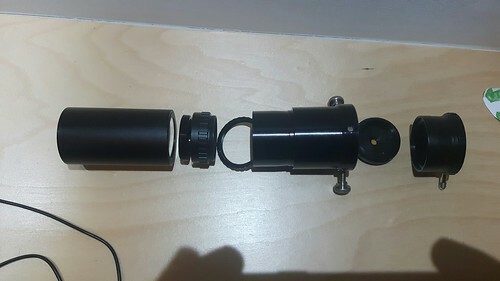 I found this nifty tilt adapter which seems like it would be perfect, but it says "not in stock," and I received no reply to an email inquiry about future availability. Since I'm not in the UK, I didn't try and call them... Anyone able to check with them and let me know what you find out - it would be much appreciated. Does anyone know of another vendor? Thanks Bob. I am not in the UK unfortunately, here is what I know/think. Astrograph is Rupert's business, sometimes active on this forum. And a pleasure to deal with, reaction can take some time when he is abroad. It seems like a unique piece, never seen it before, nice and simple design. It looks a bit like an ultrashort Skybender and I would not be surprised if this one was made by AOK (Beat). Thanks guys, I guess I'll give a little more time for a response, and then try again. Mark, it sure looks like a Baader T2 device, but I looked at their site and didn't find this particular implementation. So I'm hoping to hear back from Astrograph... Seems like it would be ideal for a modular system using multiple filter choices with the Baader TZ3 I just acquired. Something foor the cloudy weekend. Gerd Neumann confirmed it is indeed an old Baader part.